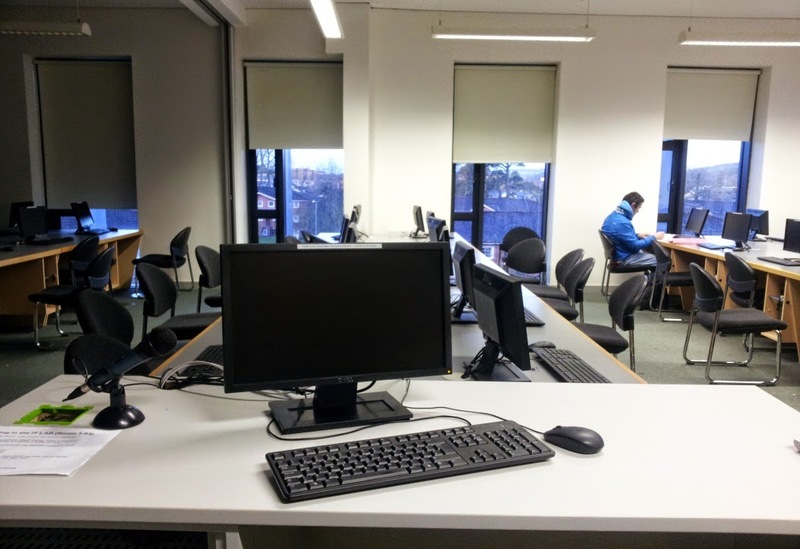 Teaching spaces – are we making the most of what we’ve got? Another important component of teaching is the space you teach in. I feel that the space is often overlooked but it can have a huge impact on your delivery of a particular class. 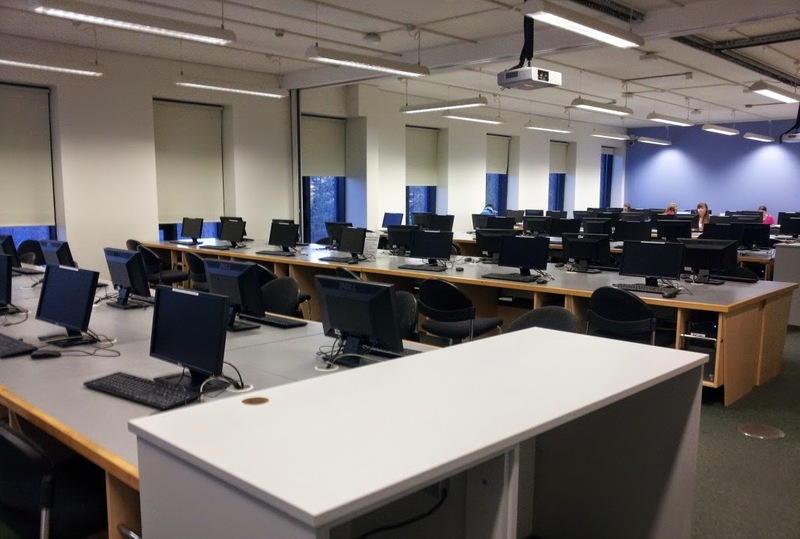 I personally always like to see a new space before I teach in it, but when I had gone to see a room previously I didn’t particularly think of what the space could be, rather I focused on assessing the software and functionality of the PC and noted the layout as it was. As part of the course on Teaching and Learning we critically reflected on the spaces that we frequently taught in. I learned that many teaching spaces are far trickier than my own and that there are many ways to engage students regardless of the particular space. For example, even in a huge tiered lecture theatre, greater diversity can be employed than simply lecture style delivery. In such a space there is scope to get students to do group work for a short period of time and a teacher can always move amongst the students, even if it’s just temporarily by walking up and down the stairs or walk way! The challenge to teachers is to renegotiate and redefine spaces to fit our purposes and engage students. This room holds approximately seventy students. My classes in that particular room vary as I sometimes have small groups of about thirty in the class and sometimes have larger groups of about sixty five. I find this room to be more challenging to work in than smaller rooms. If I have a smaller class there other students who are not part of the class often wish to remain in an area of the room or come in during the class and use a PC. This can transpire not to be problematic if they are quiet and refrain from printing, but it is not my preferred scenario. The students can also have issues seeing the screens and hearing me due to the large size of the room. It can also be very difficult to engage and interact with each person in a large room. 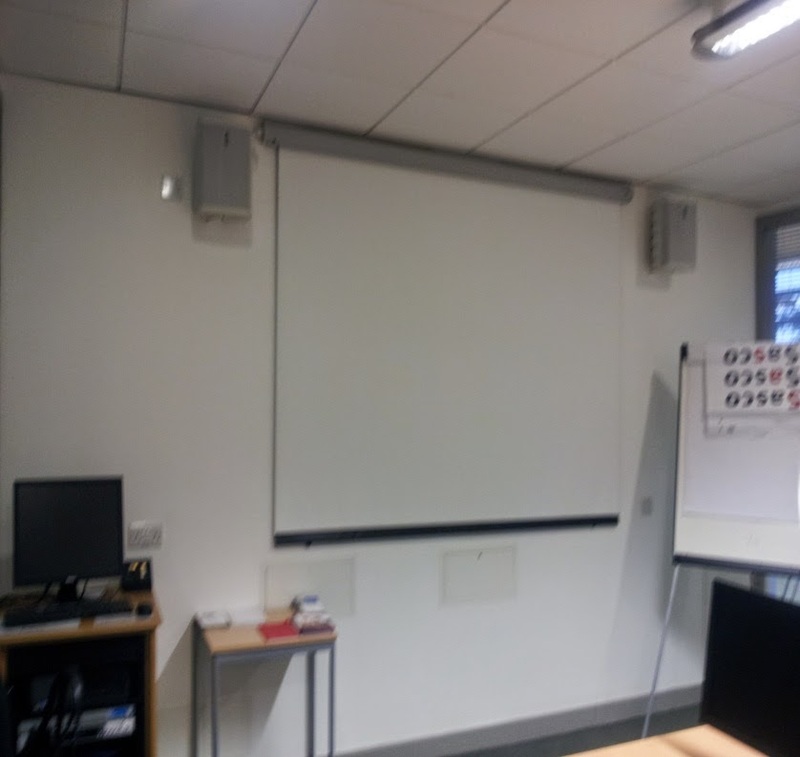 Some basic strategies which I find helpful in this room include having a remote microphone to hand if it’s required by the students and enlarging the display of my own screen on occasion to ensure that the students at the back of the room can see. I also try to have a remote laser pointer with me to demonstrate specific components clearly and I hope in the future to source a remote to allow me to move through a PowerPoint while moving around the room. Before individual classes I have also sat in a number of seats around the room to determine the visibility of the screens projecting different resources and to determine how it will feel from a student perspective to attend a large class in that room. For most classes I also prepare a sheet of specific tasks and exercises for each individual to complete at various times during the class. I feel that it’s important that the students have an opportunity to independently practice what is being demonstrated and communicated, rather than exclusively just either watching me demonstrating or expecting them to follow along in real time. In a large class particularly it can be difficult to make sure that everyone is following the required processes and steps, but using such an approach is helpful. It gives me a chance to walk around, engage with students and view direct evidence of understanding. Students often ask me questions when I walk around the room amongst their desks, which I doubt would always be shared if I continued to present relentlessly! Upon reflection though, I have realised that I had previously been far too reliant on the students using the PCs. Because of the presence of the computers I hadn’t given sufficient thought to using the teaching time and space differently in order to engage a greater variety of learning styles. In large classes particularly I had overlooked and underutilised a lot of other tools, even some which involve multimedia (which ironically I think I would have been more likely to utilise occasionally in a traditional lecture style presentation set up). I also underutilised group work and props when teaching large groups and focused primarily on the students using their PCs for the entire class. Within my own classes, some students tell me that they are not very comfortable using computers and do not routinely use them, so I think that diversifying the classes more would be beneficial for these students. For example, using group exercises which involve the students planning their literature searching strategy efficiently, prior to using a particular database could easily be done using pen and paper or indeed colourful sticky notes. I feel that this may make it easier for any student struggling with computer literacy to conceptualise the process involved and encourage teamwork and peer support amongst the students. Another space within which I frequently teach is a smaller computer training room based within the Library. This is by far my preferred room. The capacity of this room is fourteen. Each person has their own PC and they have good visibility of a large screen and there are no issues with any students being able to hear me clearly. This room is very pleasant to work in. I feel that the small capacity enables me to provide more individual attention and interact more easily with the students. Interestingly, I have always experimented far more with different approaches in this particular room than in the larger room. I’m cognisant that some of the issues I’ve raised above relate also to the group size as I feel that it is undoubtedly easier to facilitate active learning with smaller groups rather than larger groups. McGuinness (2011) provides many suggestions for engaging larger groups, including: buzz groups; think-pair-share and structured note-taking, which can be done in virtually any teaching space. Such exercises can allow students to stop and reflect on their learning and raise questions. It allows a teacher to determine direct evidence of student learning and helps one to determine key points which may not have been understood of which may have been misunderstood. They also allow us to provide feedback to students, which can be tricky in a large group. Essentially my own learning in this regard has been that planning and preparation for each class should include a thorough assessment of the space available with a view to creating a dynamic teaching space rather than simply using the existing teaching space in the most obvious way. 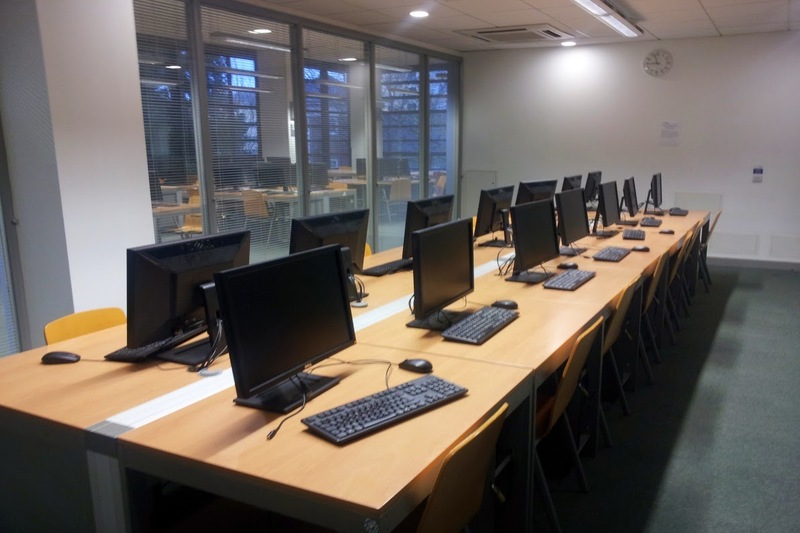 Secondly, although a lot of the teaching that I do will involve using students learning how to use electronic databases, the classes do not have to consist exclusively of computer work. Indeed depending on the individuals being taught, short breaks from the computer work to work in small groups, standing up and using props such as flipcharts and sticky notes may be more effective. Thirdly, I am more aware now that even within large groups and large spaces there is plenty of scope to use the space differently and dedicate some time to different activities to allow students time to stop, reflect and question things which they do not understand and provide teachers with direct evidence of learning. I would love to hear about ways in which you reconceptualise teaching spaces.